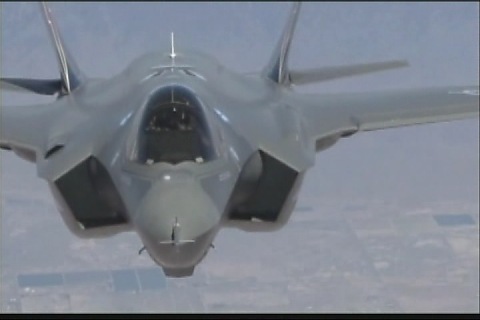 F-35 stock footage of the new Joint Strike Fighter, also known as the Lightning II. This F-35 JSF stock footage was captured air-to-air and it is part of our military stock footage collection. This is not F35 HD stock footage but we do have plenty of F-35 Stock Footage in high definition so please check out the rest of our offerings to find the perfect military stock video footage for your production. Please note: For public domain stock photo and public domain stock footage downloads, fees we charge are library access fees, not license fees. No license is available or required.